• Individuals making $400,000 or more will see their tax rates increase from 35% to 39.6%. Same for couples earning over $450,000 a year. • Capital gains taxes will increase from 15% to 20%. • The tax rate on estates will increase from 35% to 40%, although the $5 million exemption for individuals and $10 million exemption for couples will remain for estate taxes. •The American Opportunity Tax Credit (education) has been extended for 5 years. Unemployment benefits for 2 million Americans have been extended for another year. • Payroll taxes will increase back to the prior rates from 4.2% to 6.2%. Many people thought that taxes for most middle class Americans would not go up with this agreement. Their INCOME tax won’t go up but they will be paying more because of a 2% rise in payroll tax deductions. This increase will remain in place unless officials in Washington agree to extend the payroll tax cut of 2010. With the passing of the American Taxpayer Relief Act of 2012, an extension has been granted to most of the farm programs in the 2008 Farm Bill. Boatwright noted that this is not ideal and certainly not what we were hoping for. They now have until September 30, 2013 to figure out and pass a new Farm Bill. The Dairy Security Act was not included in this extension but Senator Leary from Vermont pulled off a last minute deal which extends this act at it pre-September payment levels. At the beginning of February the Postal Service (USPS) announced that it will no longer be delivering mail on Saturdays starting in August 2013. Note that this is not a done deal. The USPS is under congressional authority and they may not have the right to just stop Saturday deliveries without first getting approval from Congress. What they plan to stop would be the delivery of letters, magazines, cards etc. They would still deliver packages and prescription medicines. Post Offices would still be open with mail being delivered to Post Office boxes. 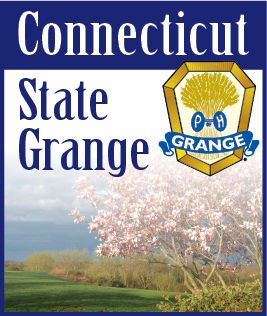 The National Grange sympathizes with the USPS and blames Congress. The way that USPS is currently structured ensures that an eventual downfall will occur. USPS is under Congressional control and is not a separate entity, which it needs to be to be able to operate efficiently. Congress has known this for years and has not done anything to save it. USPS is simply trying to do what it needs to enable it to survive. National Grange feels that the ending of Saturday delivery won’t be enough to save the USPS.